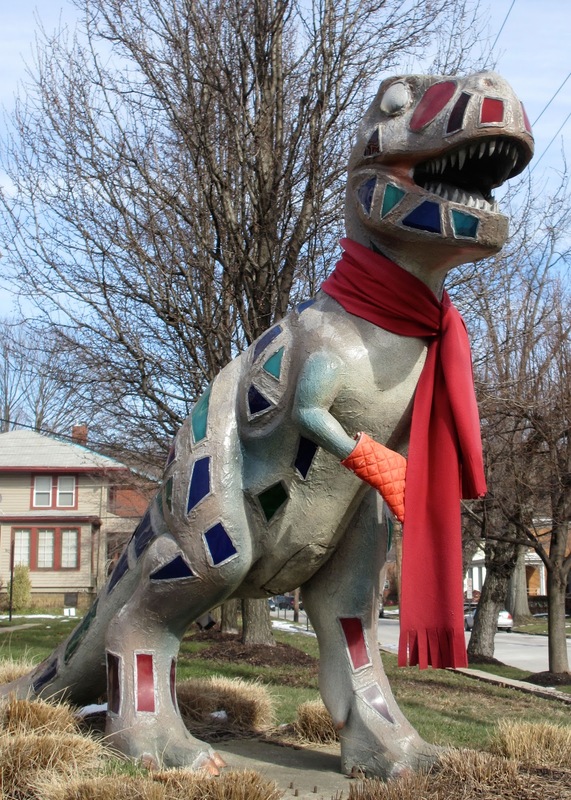 The dinosaurs from the Carnegie Museum’s DinoMite Days were all adopted and moved to their new homes years ago. A handful remain scattered around the city in public places and those are the ones we’ve included in this website. This is Lunasaurus Lux. Stained glass pieces on this dino made me wonder if it might have an internal light on at night. We haven’t been out there after dark to see, but if anyone else has seen it at night and can tell us, we’d be interested. 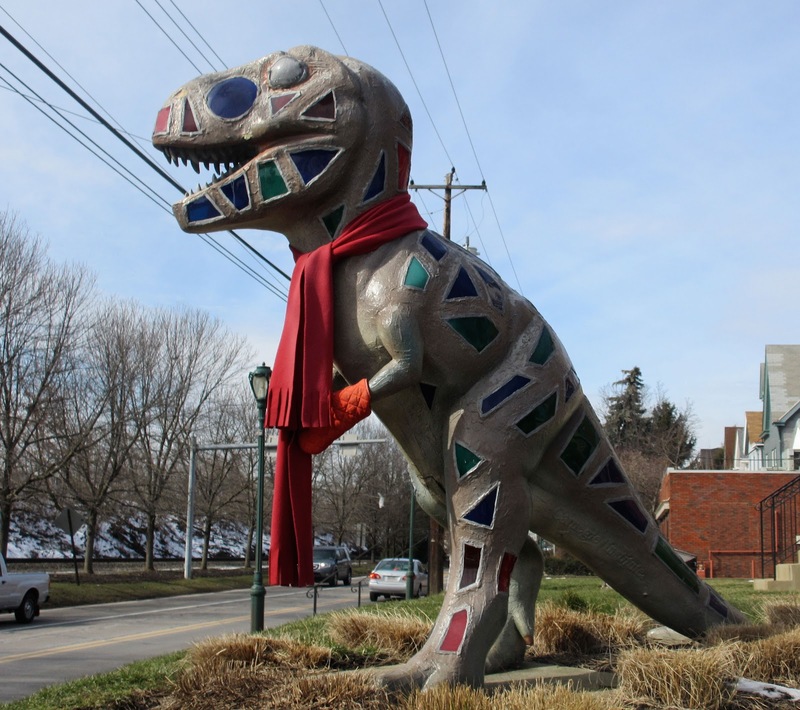 The Carnegie DinoMite Days web page explains the design as techno–pet blended with sport cars . They describe it as a combination of the dinosaur representing the past and the materials used to make this dino representing the present, modern era of design. We still want to know if it lights up at night!